This cycling holiday starts in the quiet countryside, at Cholmondeley (pronounced Chumley!) near the Peckforton Hills with a gentle afternoon ride to the Candle Workshops and the Pheasant Inn at Higher Burwardsley. The next day wind through quiet countryside and pretty villages to the market town of Ellesmere (farm option) or Wem(hotel). The Ellesmere area has many small glacial lakes, mosses, rare plants and wildlife and the cycling is particularly quiet and peaceful with some lanes that rarely see a car!. 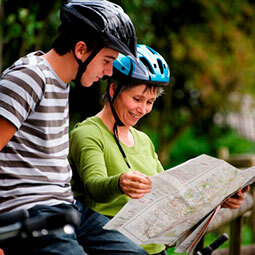 Spend two nights here and take a circular cycle route exploring the lakes or Whittington Castle. 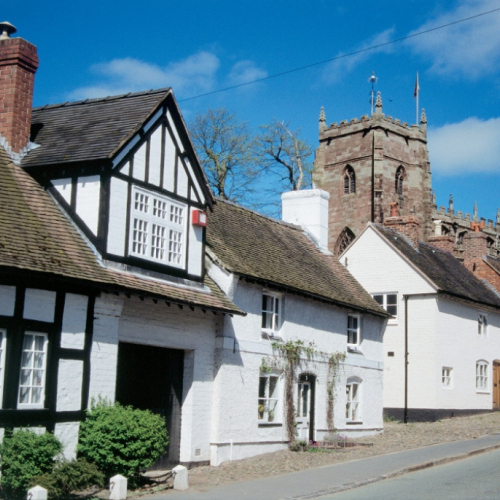 Head back to Cholmondeley through the market town of Whitchurch and small village of Marbury, with its lovely views of the Mere from the churchyard. Day 2 – Cycle from Cholmondeley to small town of Malpas. From here follow quiet lanes to Hanmer with its Mere and good pub. 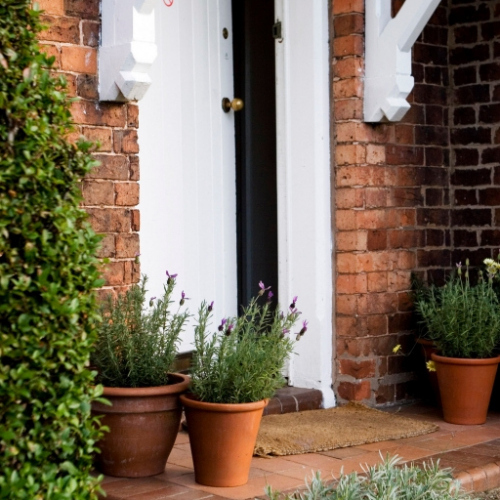 After a break continue on to the market town of Ellesmere to comfortable farmhouse accommodation on the edge of Ellesmere. Can upgrade to countryhouse hotel in Wem. 20 – 25 miles. 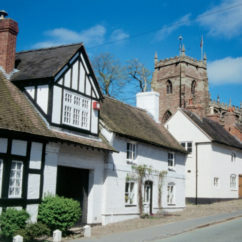 Day 4 – Cycle back to Cholmondeley through market town of Whitchurch. From here head to the pretty village of Marbury with its mere and great views from the churchyard. Continue on through Wrenbury on the Shropshire Union canal, past the Dusty Miller which overlooks the canal and is a regular main entry in the Good Pub guide. We meet you back at your starting point with you luggage and to collect the bikes. 20 – 25 miles. Day 1 – Arrive at accommodation near Cholmondeley from lunchtime. We meet you when you arrive to deliver bikes and adjust them to make sure they are comfortable. 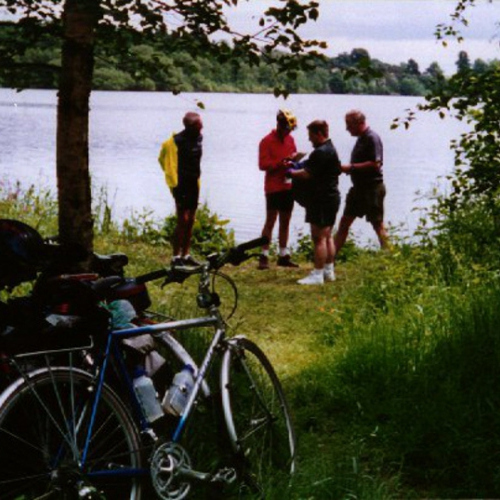 Circular ride around countryside to Burwardsley and candleworkshops – 10 or 20 mile options. 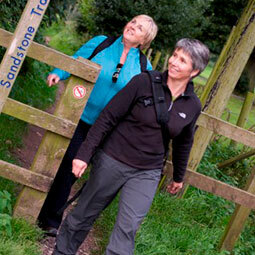 Longer routes cycle to Beeston Castle of 25 miles. 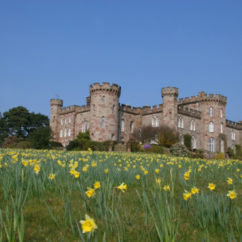 Also opportunity to visit Cholmondeley Castle Gardens – if open, check open days with us. Day 2 – Cycle from Cholmondeley, through Tilston, past Stretton Mill (a working water mill) to Farndon. From here on to the small town of Malpas – nice cafe here and then follow quiet lanes to Hanmer with its Mere and pub. 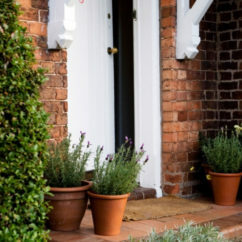 After a break continue on to the market town of Ellesmere to comfortable farmhouse accommodation on the edge of Ellesmere. 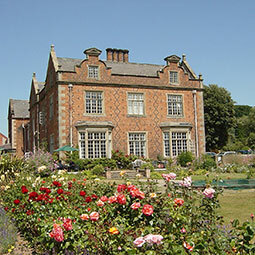 Can upgrade to countryhouse hotel in Wem. About 38 miles. Day 4 – Cycle back to Cholmondeley through market towns of Wem and Whitchurch. From here head to the pretty village of Marbury with its mere and great views from the churchyard. Continue on through Wrenbury on the Shropshire Union canal, past the Dusty Miller which overlooks the canal and is a regular main entry in the Good Pub guide. 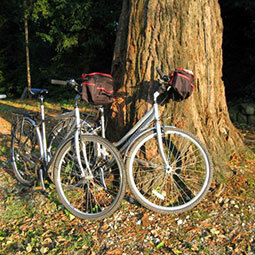 We meet you back at your starting point with you luggage and to collect the bikes. About 35 miles. Country Inn and farmhouse or country house hotel.